A single diamond accent adds a spectacular amount of sparkle in this white gold single diamond heart ring from Apples of Gold Jewelry. The ring is available to you in your choice of 10K, 14K, or 18K white gold, and features an open heart design on the face of the ring. Polished and beautiful, the heart has a single diamond accent in the center, which is a total of 0.02 carats, with a color rating of G-H and a clarity rating of I1. This beautiful ring is a perfect engagement ring, statement ring, or a gift to remind her of how much you care. 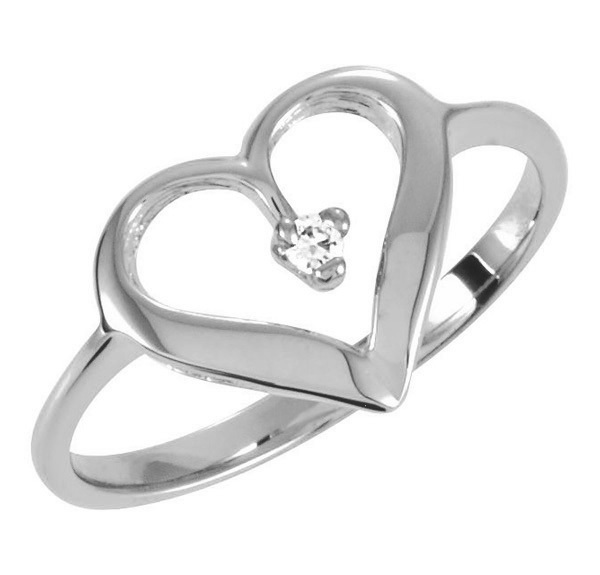 We guarantee our White Gold Single Diamond Heart Ring to be high quality, authentic jewelry, as described above.